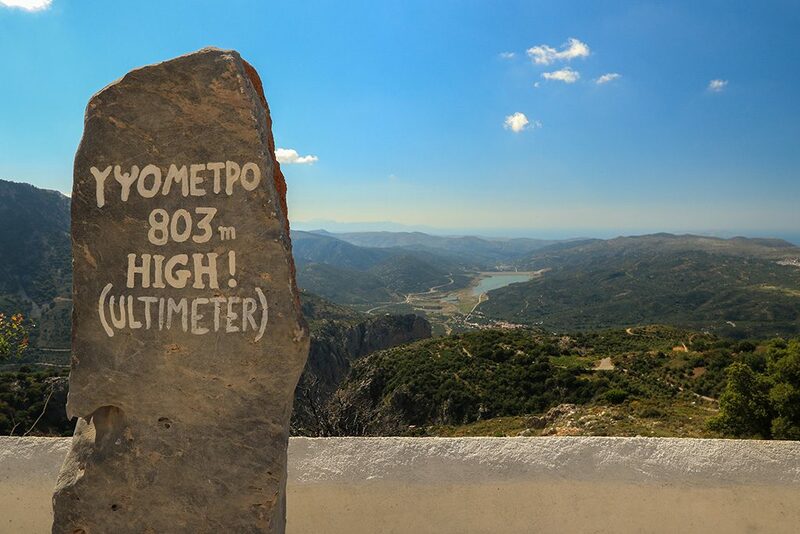 Here’s the sequel to my road trip in Crete (Greek island), 8 days in May, two girls, one rented car, and the incredible landscapes of this island are ours ! Find all the tips on accomodation, car hire and road safety in this article. Because of bad weather (there were storms and torrential rains the previous days), the gorges were unaccessible for two days. Unfortunately, since our holiday was scheduled, we could not postpone the visit of the Gorges. This is a great example of the vagaries of traveling and of the everyday life: unforeseen events can come up and you need to adapt. 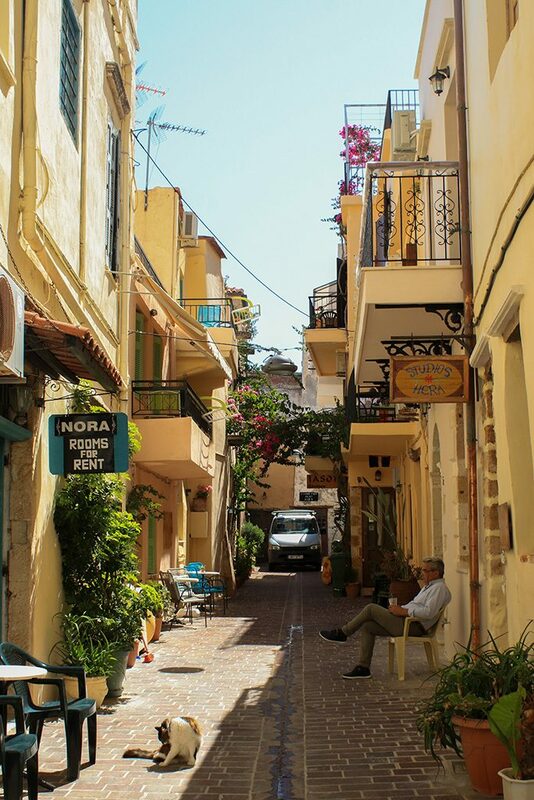 We chose to visit the town of Chania, since we were there. While discovering this town very early, we were able to avoid the constant and oppressive mass of tourists. This allowed us to enjoy this town’s beauty and we witnessed a ceremony in honor of St Nikolaos, while we were walking along the Old Port. In the afternoon, we went relaxing on Falassarna beach. 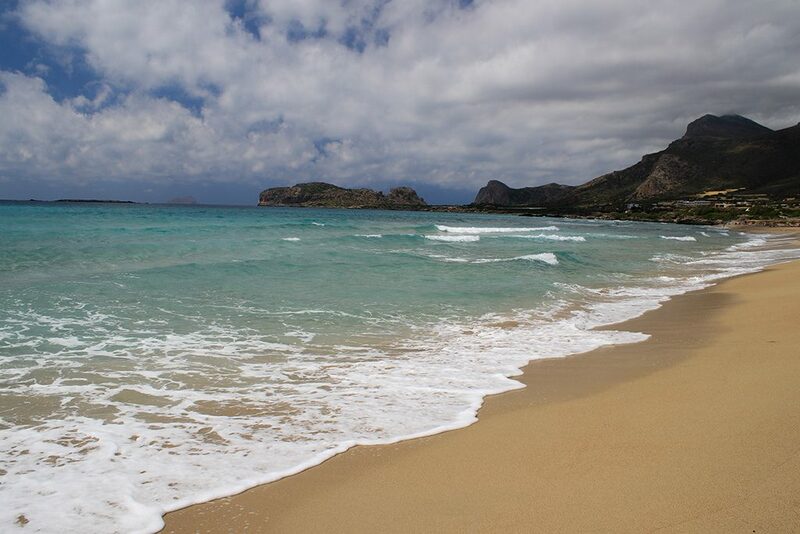 This beach is very nice, yet it’s setting is not just as nice as Balos or Elafonissi. 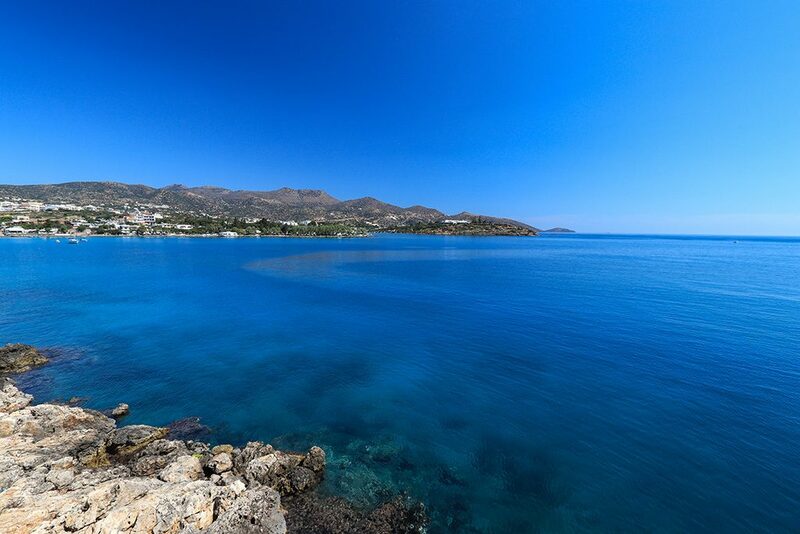 Elafonissi is a true picture-postcard landscape. 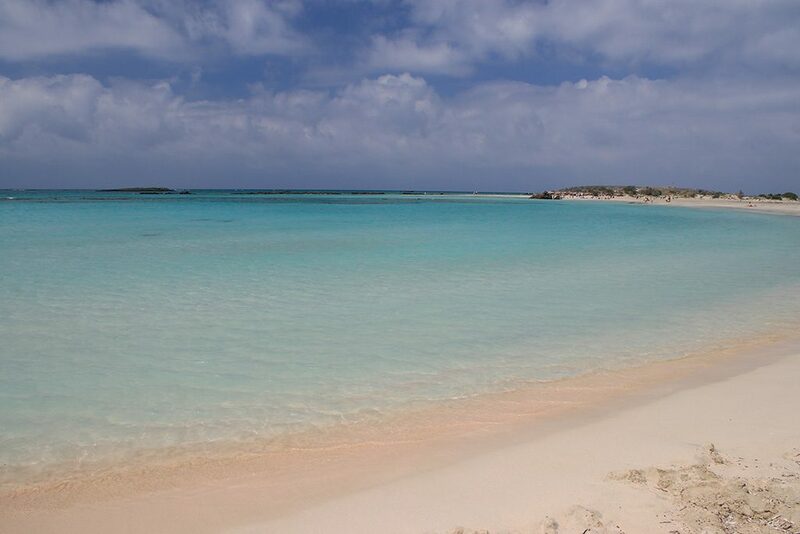 The water is turquoise and clear, the sand is fine. You can take a dip in a dream setting. 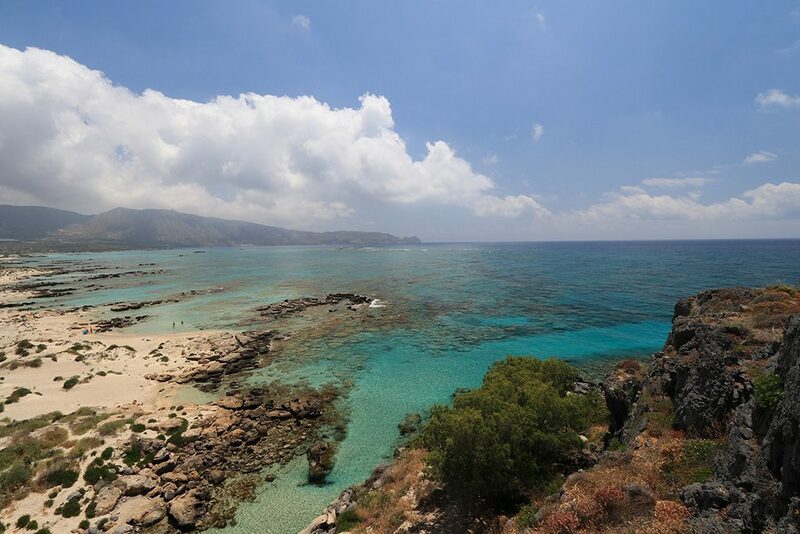 You can walk to the other end of the island and you will get to see a splendid view, Elafonissi peninsula; don’t hesitate to make a few stops to cool off in this gorgeous place. 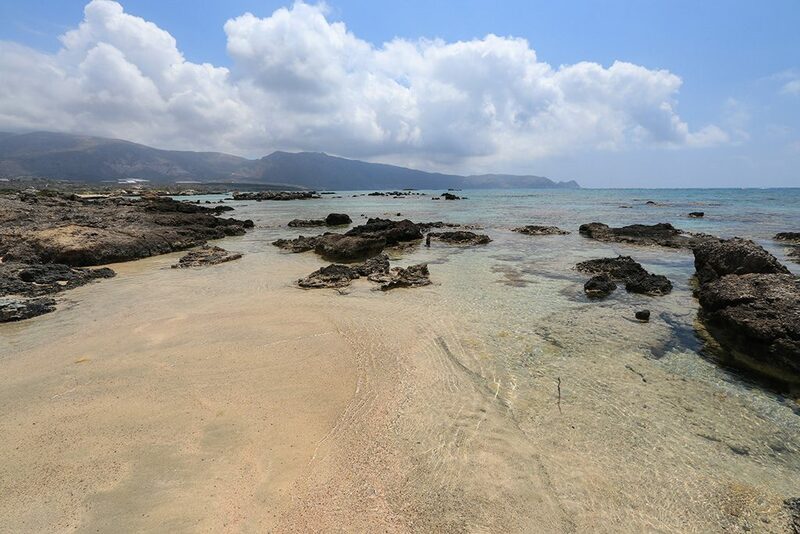 During the high season, the number of tourists must be very high so don’t hesitate to go further along the beach in order to relax and to find some peace. 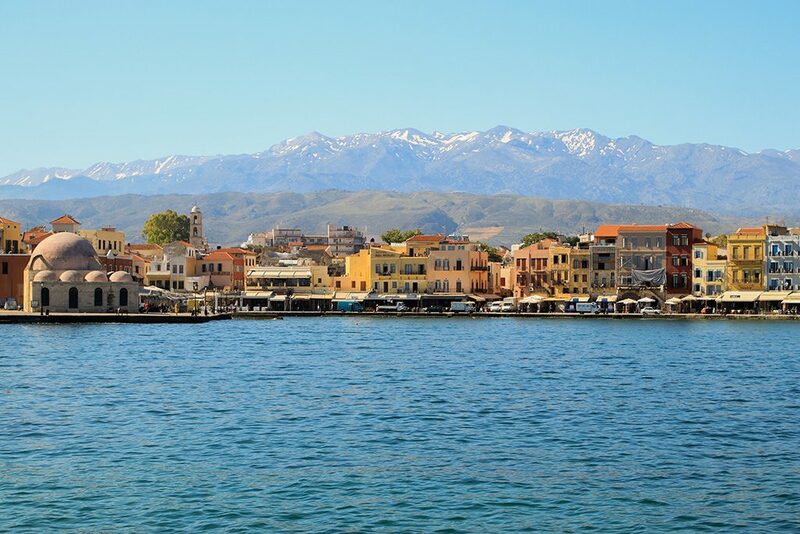 Going to Crete means discovering landscapes but also the history and the culture. 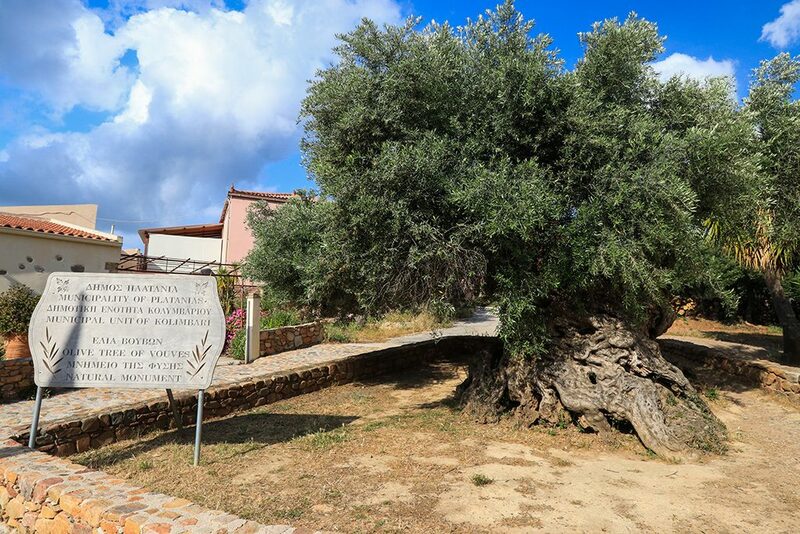 Therefore we went to see the oldest olive tree in Crete, situated in Kavousi and we visited its small and free museum. Spili is a pretty traditional village which is nestled in the middle of the mountains. 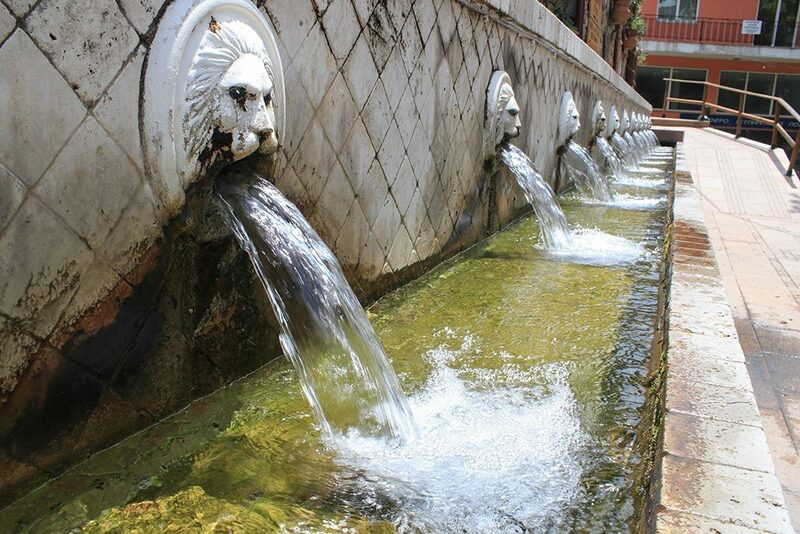 It is nice to stop there and admire its beautiful fountain (too bad it is not properly maintained). 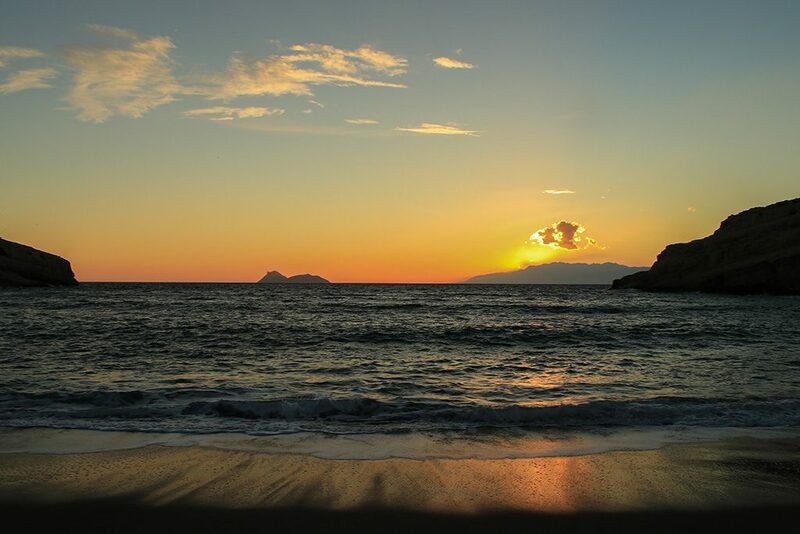 In Agios Palvos, you can find a small creek, with its sandbank and surrounded by a cliff. I would not recommend this beach to you if you want to relax peacefully since it is quite small and during the high season you might feel oppressed. It is also called The Sleeping Dragon. Matala is a “hippie” town. Its atmosphere allows you to relax as well as to have fun, at night the town comes to life, and it is good to eat or have a drink near the sea or even suspended above it. The sound of the waves shattering against the rocks brings you joy and serenity. Unfortunately, I didn’t stay there very long and so didn’t have much time to discover it in its entirety. We mostly enjoyed a wonderful sunset. 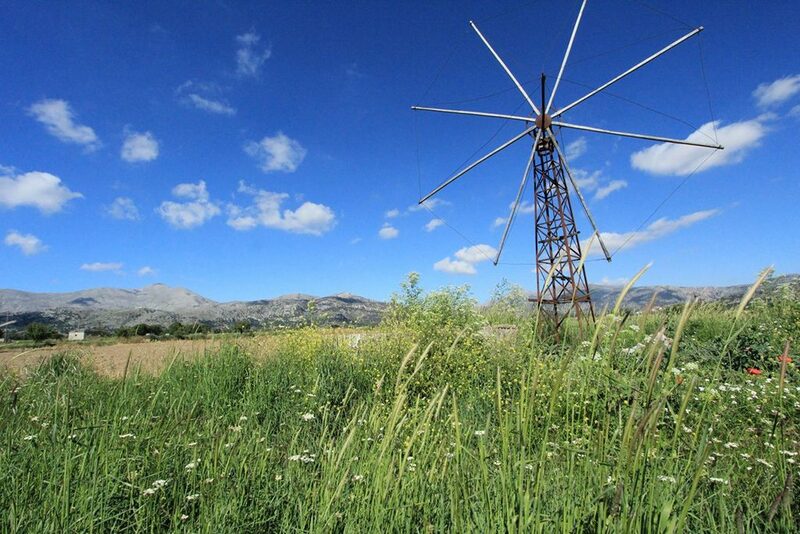 We have travelled by car through the Lasithi Plateau, and stopped to admire the panorama and the beauty of the windmills. 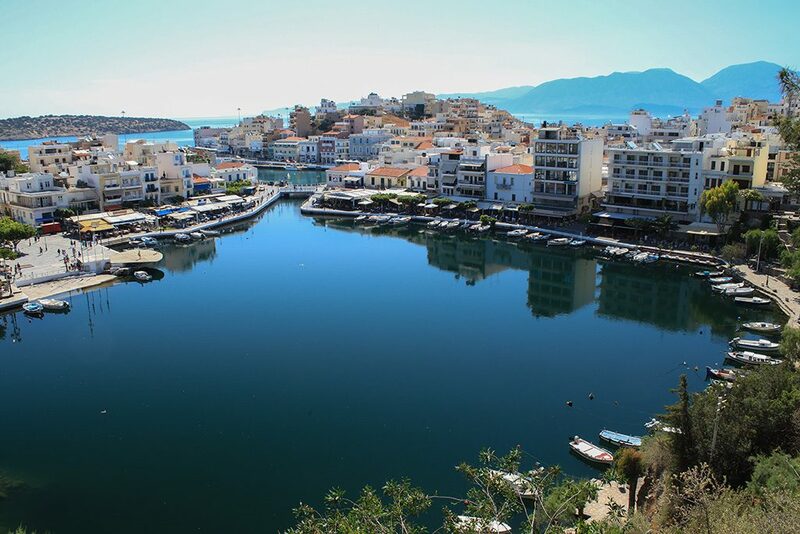 In Agios Nikolaos, a location you cannot miss, you will find Lake Voulismeni which is surrounded by touristic restaurants. According to local gossip, this lake is bottomless and according to the mythological legend, goddess Athena has bathed in it. We have enjoyed this charming town along with the panorama it offers. It is pleasant to walk along the seaside. While walking there, you will probably pass the Horn of Amalthea statue. Mythology lovers will fully appreciate it. 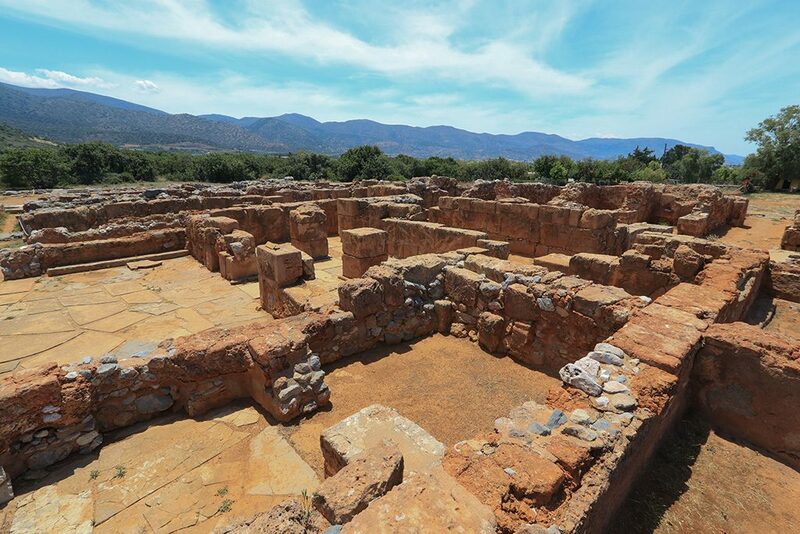 The Minoan Palace in Malia is situated about 2 miles away from the town. Now we headed to Heraklion airport, where we returned the rented car without any trouble even though it was very dirty! Yet, the organization at the airport is a disaster, there are very few direction signs and the building is too small compared to the number of travelers it contains. As a result, the space is very noisy and you will probably have to wait while standing up, or to sit on the floor. This trip was wonderful, full of images and memories. 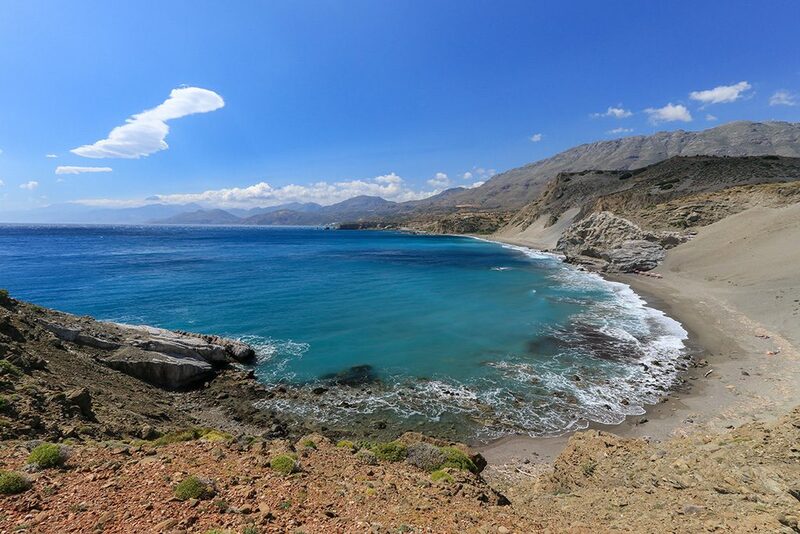 It was one of the best trips I have done, and I hope it is not the last one… I would not hesitate to go back to Crete one day because eight days were not enough to discover all the wonders of this island. I would also like to visit Greece. When I got back at home, there was only one thing I wanted to do: to keep traveling! You become addicted to traveling very easily, and believe me, if I had enough money, I would travel every day. 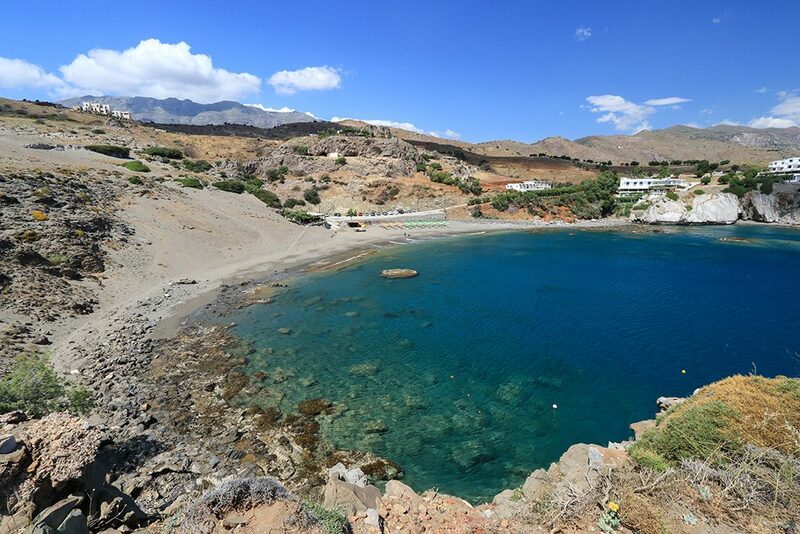 I hope that my two articles on my road trip to Crete have made you want to discover this island and that they will help you if you go there soon.